You are currently browsing the OSU Today blog archives for the day Thursday, June 7th, 2018. At some point in the last decade, at least one of these rare beasts – notable for their large curled brown horns – crossed Interstate 40 in at least one location in the Mojave Desert of California, according to a new Oregon State University study published in the journal Molecular Ecology. Company has spent more than $700 million developing technology that grew out of Oregon State University research. Gardening season is in gear and everyone has a question of some sort. Get answers from Ask an Expert, an online question-and-answer tool from Oregon State University’s Extension Service. OSU Extension faculty and Master Gardeners reply to queries within two business days, usually less. For decades after World War II, few additions were made to the collection. But in recent years, the Straus Center’s director, Narayan Khandekar, has been expanding it. The collection now includes YInMn blue, a pigment serendipitously discovered by Oregon State University chemistry professor Mas Subramanian in 2009, and Vantablack, a pigment made from carbon nanotubes that absorbs 99.965% of visible light. Thesis Defense – Water Resources Graduate Program: Carolyn Gombert, M.S., WRE. Thursday, June 7, at 10 a.m. in Burt 193. The title of her thesis is “Characterization of thermal regimes of side channels, alcoves, and ponds on the Willamette River, OR.” Gombert is advised by Stephen Lancaster of CEOAS. Foster Parents at OSU Meet and Greet: Are you fostering children through DHS and working/studying at OSU? Come and connect with other parents here at OSU that are fostering too. This is an opportunity to meet each other and consider the possibility of continuing to connect more regularly. Thursday, June 7, from noon to 1 p.m. in MU 207. Bring your lunch. Lemonade and cookies will be provided. TRIAD End of the Year Celebration and Business Meeting: The meeting will begin at noon on June 7, noon the Linus Pauling Science Center Room 402. The public is welcome to attend free of charge. An optional catered lunch is available for $13. Contact Kathy DeBellis at Kathy.debellis@oregonstate.edu to reserve a lunch. Celebrating FIRST! Generation student lunch and virtual gathering: The speaker will be Susana Rivera-Mills, OSU vice provost. FIRST! Generation is dedicated to helping first-generation students find out about other first-generation students, from faculty/staff to current students, and their success in being the first to go to college. Thursday, June 7, noon to 1:30 p.m., Memorial Union Horizon Room. All are invited to come and support OSU’s FIRST! Generation students. For more information, contact Lindsay Marlow (lindsay.marlow@oregonstate.edu). Accommodations for disabilities may be made by calling 541-737-0083. Thesis Defense – Water Resources Graduate Program: Amelia Yeager, M.S., WRE. Thursday, June 7, at 2 p.m. in Richardson 115. The title of her thesis is “Salmon Habitat Restoration Using Large Wood: Linking Stream Geomorphic Change and Restoration Effectiveness.” She is advised by Catalina Segura of FERM. Reading at Grass Roots Books by Eric Wagner: Join us at Grass Roots Books on Thursday, June 7, at 7 p.m. as Wagner reads from his new book “Penguins in the Desert.” With humor, warmth and insight, Wagner chronicles one season in the remarkable lives of the Magellanic penguins of Argentina. This event is sponsored by OSU Press and the Spring Creek Project; free and open to the public. Learn more. NEW! Women’s Center Awards: Join us as we celebrate this year’s Women’s Center Award recipients. The reception is this Friday, June 8, at the Women’s Center and will begin at 11:30 a.m. followed by recognition of recipients beginning around noon. The event is free and all are welcome to attend, dessert will be provided. About the event. President’s Concert: The Oregon State University Chamber Choir will present the 14th annual President’s Concert at 7:30 p.m. Saturday, June 9, in the First United Methodist Church, 1165 N.W. Monroe Ave., Corvallis. The program, “Chase the Journey,” is directed by Steven M. Zielke, the Patricia Valian Professor of Music at OSU. Advance tickets are $10 in advance or $15 at the door; all seating is general admission. OSU students with ID and K-12 youth will be admitted free. Corvallis Arts for All discounts apply. Tickets may be purchased online athttp://liberalarts.oregonstate.edu/SACevents. Farewell Reception for Kavinda Arthenayake: Join us as we wish Kavinda Arthenayake the best of luck at his new position in Rhode Island and thank him for his many years of service to OSU. Printing & Mailing Services will be hosting a farewell reception on June 12, from 11 a.m. to 1 p.m. at its main production facility at 4700 S.W. Research Way. All are invited to stop by for refreshments and to wish him well. A Gathering of Artists – Philomath Open Studios Tour at 15 Years: This exhibit showcases the work of more than 40 Philomath area artisans who come together each year and open their studios in fall to the general public. The exhibit runs June 4-28, at Giustina Gallery in the LaSells Stewart Center. Free and open to the public. OSUsed Store Public Sales: The OSUsed Store is open for its weekly public sales Friday noon – 3 p.m. at 644 S.W. 13th. Personal purchases must be made during public sales. Staff may shop for their department 8 a.m. – 4 p.m. Mondays through Thursdays. More information on our website. Dodson retirement: A retirement reception will be held for David Dodson, university land use planning manager, in recognition for his service to OSU. The reception is on Friday, June 15 from 1–3 p.m. in Oak Creek 201. Contact Rebecca Houghtaling, 541-737-0456 or Keahi McFadden, 541-737-5412 with any questions. NEW! Interested in Disability Studies? Want to help promote diversity, equity, and inclusion? If so, join the OSU Disability Network and the Disability Studies Center for Humanity Research Cluster for upcoming presentations. Stephanie Jenkins will speak on “Cripping Critical Animal Studies,” Friday, June 8, noon, Milam 301. Join the OSU Disability Studies listserv for updates about future events. For more information about the OSU Disability Network or to request accommodations for disability, please contact: Stephanie Jenkins, stephanie.jenkins@oregonstate.edu or 541-737-6517. NEW! Ph.D. Defense: Johannie M. Spaan, Department of Integrative Biology, will present “Non-invasive Measure of Stress Physiology in Free-ranging Female African Buffalo (Syncerus caffer): Environmental Drivers, and Immunological and Infectious Consequences,” Tuesday, June 12, 11 a.m. in LINC 302. NEW! Distillery Startup Workshop in Corvallis (June 18-21): Whether you’re an experienced brewer/distiller looking to expand your business or simply exploring new opportunities, this course will give you the knowledge and connections needed to succeed. M.S. Defense Seminar: Anna O. Mangan will present “Effects of Weather, Habitat, and Barred Owls on Occupancy Dynamics and Breeding Propensity of Northern Spotted Owls in Mount Rainier National Park.” She is with the Department of Fisheries and Wildlife. The presentation takes place June 8, 9-10 a.m., Nash Hall 032. Webex link: https://oregonstate.webex.com/oregonstate/j.php?MTID=m9058b859ef86f54f592fd7ed672b3058. Thesis Defense – Water Resources Graduate Program: Michelle Hu, M.S., WRS. Friday, June 8, at 2 p.m. in Strand 361. The title of her thesis is “Changing Storms and Snowpack Fate in the Western United States.” Hu is advised by Anne Nolin of CEOAS. Environmental Health Summit: Registration is open for the third Tribal Environmental Health Summit to be held June 25-26 at CH2M Hill Alumni Center. The program will feature leaders in tribal environmental health and will emphasize how to sustain long-term partnerships and projects with Native American communities and increase stakeholders’ understanding of tribal environmental health policy needs and goals. There will also be opportunities for networking with researchers, tribal scientists, state and federal agency representatives, and policy makers. Contact CPHHS associate professor Molly Kile or Amelia Vaughan with questions. Pop-Up Institute: “The language of public health: incorporating values, data, visuals and words” will be presented at a Pop-Up Institute sponsored by the Northwest Center for Public Health Practice. The institute will be held from 8:30 a.m. to 4:30 p.m. June 27-28 in Portland, Medford and Corvallis. To learn more and to register, visit Oregon State’s College of Public Health and Human Sciences event page. NEW! External Fees Updated: Oregon State University will take written comments on its proposed updates to OSU Standard 576-010 University Fees through the end of business on Monday, June 25. The purpose of the comment period is to receive public feedback regarding updates to the FY 2019 External Fee proposals before they become effective July 1. The proposed fees are available electronically as a PDF upon request. Comments or requests should be directed to Susan Barba at susan.barba@oregonstate.edu. NEW! Family Weekend Information: Future Family Weekend dates have been announced. Mark your calendars for Fall Family Weekend, Nov. 2-4, and Spring Family Weekend, May 3-5, 2019. Questions regarding family weekends can be directed to New Student Programs & Family Outreach, and more information as it becomes available can be found online at http://families.oregonstate.edu/parent-family-events. Summer Meal Program: Looking for things to do with your kids this summer? Corvallis School District Food Service will be offering free meals to all children and teens 18 years and younger. 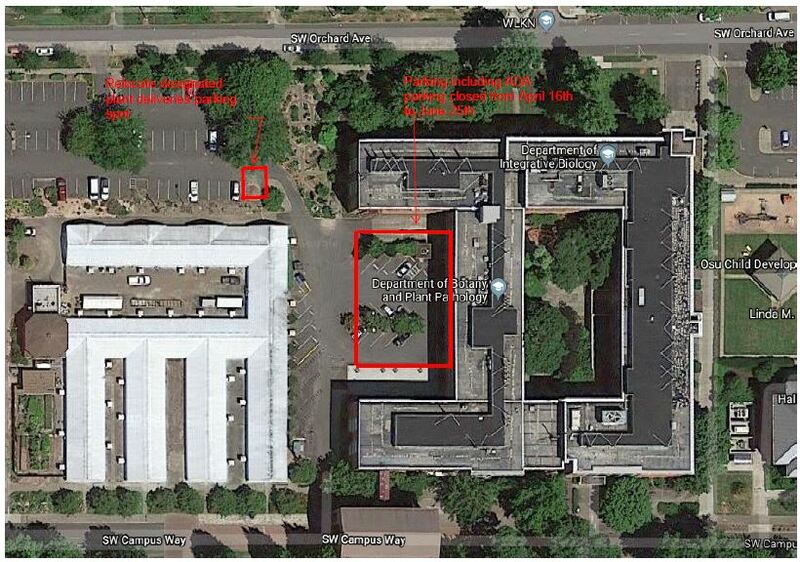 Meals will be served at 12 different sites in Corvallis, including the OSU Memorial Union quad starting June 19 from noon to 12:45 p.m., Monday through Friday. The food is prepared fresh daily, and produce used is often locally sourced. Visit our website for times and locations. SBAC Student Member Recruitment: The Student Budget Advisory Council (SBAC) is recruiting new members for the 2018-19 academic year. The SBAC is led by the director of Budget & Fiscal Planning and has up to 15 student members participating. The role of the SBAC is advisory to the University Budget Committee, which contributes an independent point of view for university matters relating to budgeting, tuition and fees, finances, policies, etc. The SBAC gives students the chance to engage with peers, provide input, raise issues and ask questions about OSU’s tuition, fees, finances and budget priorities. The University Budget Committee reports that the SBAC input is an important part of tuition and budget decision processes. For more information, visit the SBAC webpage or contact Sherm Bloomer. Fall 2018 On-campus Housing Move-In and Early Arrival: Fall 2018 move-in for the residence halls will take place on Sunday, Sept. 16, and you can find more information on our website:http://oregonstate.edu/uhds/move-in-guide. OSU departments and programs that require students to arrive prior to scheduled move-in dates for orientations or trainings must complete an Early Arrival Request for their group, which will be available in early July. If you have questions, contact Kaitlyn.griffin@oregonstate.edu. Updates to University Policies & Standards: Visit the University Policy & Standards page to learn about recent policy updates: http://policy.oregonstate.edu/whats-new This page is updated frequently with new developments so check back regularly. Campus Directions: Learn more from University Facilities, Infrastructure and Operations about how Oregon State’s campuses are improving every day. Read the latest issue of Campus Directions to learn more about the Marine Studies Building project, what we’re doing to work on the deferred maintenance backlog and more. Interested in keeping up with projects on campus? Subscribe to our monthly newsletter. Health & Safety Committee: The University Health & Safety Committee wants to promote health and safety, by providing the following link to OSHA Training requirements and resources https://www.osha.gov/dte/library/. You can also access OSU’s University Health & Safety Committee online at http://ehs.oregonstate.edu/uhsc, including past meeting minutes, information on how to contact a committee member, and a link to report safety concerns online. Oregon Sea Grant (OSG) Graduate Fellowship Applications: OSG is now accepting applications for three fellowship opportunities for current graduate students and recent graduates: OSG Natural Resource Policy Fellowship (Applications due June 25); OSG Robert E. Malouf Marine Studies Scholarship (Applications due July 16); and OSG Legislative Fellowship (Applications due Aug. 20). OSG will host an informational webinar about these opportunities: June 15, 10–10:30 a.m. PST. Register here. Super Regional baseball parking: Due to the baseball Super Regionals, Coleman Field East (A3 lot to the right of Goss Stadium) and the Navy ROTC Armory East (A3 lot south of Goss Stadium) lots will be reserved for NCAA Baseball (map) June 7-10. For questions or comments on this closure, contact Brian Bickford at 541-360-1162. 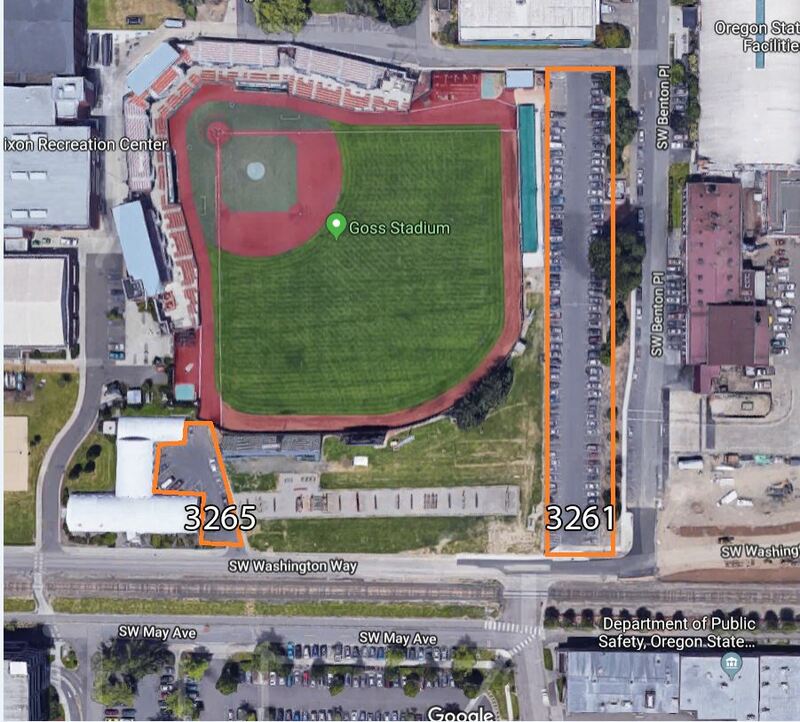 Coleman Field East lot: In preparation for the Corvallis Knights baseball game and fireworks show, Coleman Field East (#3261) lot will be closed to the public after 4 p.m. on June 12. Vehicles in the Coleman lot after 4 p.m. on Tuesday may be towed as a safety precaution for the fireworks. Questions or comments on this closure may be directed to Bre Miller at 541-752-5656. Closures are often subject to changes and delays, so visit the OSU Campus Closures, Shutdowns and Detours page for updates on this and other campus closures. Steam shutdown: Each year Facilities Services performs necessary maintenance on the university’s steam system, which requires shutting off the steam throughout campus to complete maintenance services at the plant, throughout the steam tunnels and in each building. This process affects hot water supply, heating and all equipment that uses steam, campus wide. The steam shutdown for 2018 will occur from 6 p.m. June 17 through 5 p.m. June 21. For questions or comments on this closure contact Facilities Services at 541-737-2969. Oregon State University‘s University Housing & Dining Services is seeking to fill one Custodian position. This position will be a part of the Operations & Facilities unit providing custodial services that ensure a clean, healthy and presentable environment in all UHDS facilities. Custodians are committed to the overall success and satisfaction of UHDS students, customers, clients and guests and demonstrate this commitment through the work that they perform. Posting #P01567CT. Closes June 7. Oregon State University’s Office of Audit Services is seeking an executive assistant (EA) to provide executive-level, confidential administrative support to the chief audit executive (CAE) and to the Office of Audit Services (OAS). The position is a full-time (1.0 FTE), 12-month, fixed-term professional faculty position. Reappointment is at the discretion of the chief audit executive. Posting #P02176UF. Full consideration date June 7. Closes June 21. EXTENDED! Student Accounts Customer Service Representative: The Office of Business Affairs in Corvallis. Invites applications for one part-time (a maximum of 20 hours per week), 12-month Student Accounts Customer Service Representative. Posting #P03636SE Closes June 8. Instructor-Capstone: The School of Mechanical, Industrial, and Manufacturing Engineering invites applications for a full-time (1.0 FTE), 9-month, non-tenure track position. Posting #P02027UF. Closes June 8. EXTENDED! Administrative Program Assistant, Fisheries and Wildlife: This position provides support to the academic unit and advisers of the Department of Fisheries and Wildlife and is responsible for planning and coordinating various elements of the Corvallis Campus and Ecampus programs offered by the Department of Fisheries and Wildlife. Posting #P01517CT. Closes June 10. Grants/Contracts Technician: Health Sciences Business Center (HSBC) in Corvallis invites applications for two (2) full-time Grants and Contracts Technicians (1.0 FTE each). One position is a full-time, regular position. The other is a full-time, limited duration appointment expected to last approximately one year from the appointment begin date. Posting #P01542CT. Closes June 10. Accountant 1: The Office of Business Affairs in Corvallis. Invites applications for one full-time 12-month (1.0 FTE) hourly Accountant 1. Posting #P01571CT. Closes June 11. Coordinator for Recreation Operations and Membership: Recreational Sports in Corvallis invites applications for one full-time (1.0 FTE) Salary, 12-month Recreation Operations and Membership Coordinator. Posting #P02186UF. Closes June 12. The Center for Research on Lifelong STEM Learning is seeking one full-time (1.0 FTE) Research Analyst 2 position. Posting #P01548CT. Posting closes June 13. This recruitment will be used to fill one full-time Analyst Programmer, competency level 1 position for the Enrollment Management Information Technology at Oregon State University (OSU). Posting #P01569CT. Full consideration June 14. Closes June 21. EXTENDED! Accountant 1– The Office of Business Affairs in Corvallis. Invites applications for one full-time 12-month (1.0 FTE) hourly Accountant 1. Posting #P01571CT. Closes June 18. Regional Director: The Office of Outreach and Engagement is seeking a Regional Director. This is a full-time (1.0 FTE), 12-month, fixed-term professional faculty position. Reappointment is at the discretion of the Vice Provost for University Outreach and Engagement. This position will be located in one of the Oregon Metro’s Extension County Offices. Posting #P02154UF. Closes June 18. NEW! Student Health Services invites applications for a full-time (1.0 FTE), 12-month, Administrative Program Assistant-Medical Referrals, Posting #P01575CT. Closes June 20. Education Program Assistant 1: This recruitment will be used to fill one part-time (.95 FTE), Limited Duration (approximately 1 year) Oregon State University (OSU) Extension Service Family and Community Health (FCH) Education Program Assistant 1 (EPA1) position. The EPA1 will serve Morrow and Umatilla counties. This position will be located in Irrigon, Oregon. Posting# P01574CT. Closes June 20. Coordinator-Research Program: The Marine Studies Initiative invites applications for a full-time (1.0 FTE), 12-month, fixed term Coordinator-Research Program. This position serves as a formal bridge between Oregon Department of Fish and Wildlife’s (ODFW) Marine Reserves Program and Oregon State University expertise. This appointment may be based in either Newport or Corvallis. Posting # P02171UF. Full consideration date June 22. Closes July 2. NEW! The School of Electrical Engineering and Computer Science (EECS), Oregon State University (OSU) – Corvallis, Oregon, invites applications for 9-month and 12-month part-time and full-time, .30 to 1.0, fixed-term Instructors for the Computer Science programs on campus and online. These appointments are fixed-term, non-tenure track, with the possibility of renewal at the discretion of the School Head. Posting #P02172UF. Closes June 24. Associate Director, Facilities Maintenance: The Associate Director, Facilities Maintenance is responsible for the oversight of the daily operations for a facilities service operation that consists of 30-plus licensed, journey, and semi-skilled trades professionals and six supervisory positions. Posting #P02170UF. Closes June 24. NEW! Instructor of Voice: The Department of Music invites applications for a full-time (1.0 FTE), 9-month, Instructor of Voice position. Posting #P02199UF. Closes June 28. The Department of Agricultural Education and General Agriculture is seeking an Administrative Manager. This is a full-time (1.0 FTE), 12-month, fixed-term professional faculty position with primary responsibilities to manage the administrative operations/activities in order to handle critical department matters. This position also ensures that vital interactions with state and federal agencies, private industries, other stakeholders, and the public are effectively and efficiently maintained, while acting as a liaison between the department and business centers to coordinate activities and improve policies and procedures. Posting #P02181UF. For full consideration, apply by June 22. Position closes June 29. Enterprise Computing Services is seeking an Associate Director. This is a full-time (1.0 FTE), 12-month, fixed-term professional faculty position. Posting #P02167UF. Closes June 25. NEW! Academic Counselor The department of TRiO Student Support Services is seeking an Academic Counselor. This is a full-time (1.0 FTE), 9 month, fixed term professional faculty position. Posting # P02202UF. Closes June 29. Research Associate: The School of Chemical, Biological and Environmental Engineering invites applications for a full-time (1.0 FTE), 12-month, fixed-term Research Associate position. Posting #P02089UF. Closes June 30. Student Health Services invites applications for a full-time (1.0 FTE), 12-month, Alcohol & Drug Prevention Specialist, Posting #P02206UF. Closes July 5. Digital Communications Manager: Oregon State University College of Engineering invites applications for a full-time (1.0 FTE), 12-month, fixed-term professional faculty position. Posting #P02182UF. Closes July 9. NEW! English Language Learning Coordinator: The Writing Center is seeking an English Language Learning Coordinator (ELLC). This is a full-time (1.0 FTE), 9-month, fixed-term professional faculty position. Posting #P02208UF. Closes July 14. NEW! Instructor: The Department of Physics invites applications for a full-time (1.0 FTE), 9-month, Instructor position. Posting #P02196UF. Full consideration date Aug. 1. Closes Dec. 15. Video Production Student Worker: The OSU Foundation is searching for a student with a passion for video production or filmmaking to join our communications team. The student should have experience with video production, understand storytelling techniques, desire to observe, learn from and contribute to successful projects that tell meaningful stories. This is part-time, paid position $10.25-$12 per hour DOE. Visit www.osufoundation.org to learn more and apply. “Life is easy to chronicle, but bewildering to practice.” ~ E.M. Forster. Corvallis: Mostly sunny, high of 72, low of 49. Chance of rain tomorrow. Central Oregon: Mostly sunny, high of 76, low of 47. Increasing clouds tomorrow. Newport: Mostly cloudy, high of 60, low of 50. Chance of rain tomorrow.